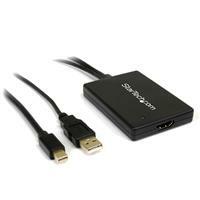 The MDP2HDMIUSBA Mini DisplayPort® with USB Audio to HDMI® Adapter offers a cost-effective HDMI with audio to Mini DisplayPort link, letting you connect an HDMI-capable HDTV to a device with a Mini DisplayPort output, while saving the expense of upgrading the TV for compatibility. The Mini DisplayPort adapter is the perfect accessory for any of your Microsoft® Surface™ Pro devices with mDP. 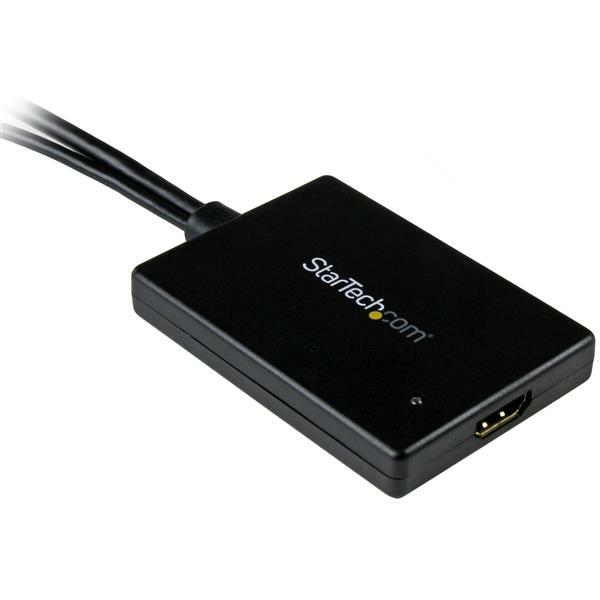 Simply plug in the USB and Mini DisplayPort connectors to a PC or Mac® and the HDMI connector to an HDMI television/monitor. 2-Channel analog audio will pass through to the HDMI connection, delivering sound to the display side, with the convenience of one HDMI cable. The Mini DisplayPort® to HDMI® adapter allows for an easy and hassle free connection to any HDMI HDTV or display from a PC or Mac. 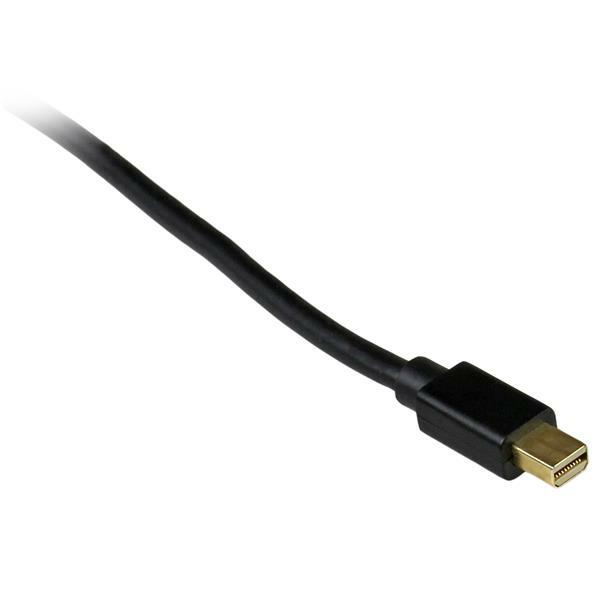 Use your DisplayPort and USB port for video and audio pass-through to one HDMI cable. Deliver audio/video content from your PC or Mac to your A/V devices (HDTV or receiver) for a larger and louder viewing.